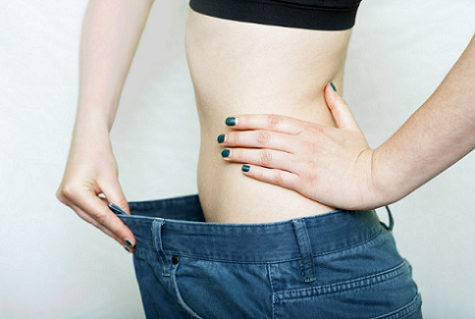 Did you know that a trim waistline is not just about looking good? A measure of the circumference of this area is actually considered a good estimate of your overall body fat composites, especially your internal fat deposits, as an indication of your likelihood of developing a weight-related disease. But, what is the best way to shed the cms from your waistline? Here’s what to look for in a suitable weight loss program to have you looking and feeling great. Effective weight loss programs should always be nutritious, giving you key vitamins and minerals to support your body during a calorie-controlled phase. Balanced meal replacement shakes and low carb protein snacks are commonly available on the market, and allow you to come in under your optimal calorie quota – for a mathematical and ‘common sense’ approach to losing weight. This is a method used for the initial phase in your process, as a ‘kickstart’. As progress ensues, ‘real foods’ will once again be incorporated into a sustainable diet that works for you – to assist you with maintaining your hard earned results over the long run. It’s important that the weight loss program that you choose is balanced, and contains a high amount of protein and a source of fibre, so that your body is not running on empty – leaving it susceptible to everyday stressors and potential illness from being ‘run down’. They say variety is the spice of life and nothing could be more true when it comes to weight loss programs. Being able to choose between a selection of flavours (when it comes to meal replacements) and a good range of meals (when it comes to real food options) is key to being keeping committed. Nothing is worse than not being able to stomach more of the same old thing, and this can seriously deter you from reaching your goals. It’s fun to get creative and ‘think-outside-the-box’ when it comes to your home cooking. Therefore, low carb recipes need not be boring or tasteless. They can even allow you to enjoy food centric events and holidays in moderation, without any of the guilt. It’s all about making smart substitutes in ingredients, so that you can still enjoy the foods you love in calorie-controlled measures. This allows you to keep your sanity without sacrificing your taste buds, and most importantly – allows you to stay on track as part of an authentic lifestyle change. It’s all well and good to follow a stringent diet for a short amount of time. But, what happens when life gets in the way? That’s why you should look for a realistic meal plan that offers flexibility to cater to your unique circumstances. The ability to be able to eat out on occasion is very much a part of a healthy social life, so it’s really important to be able to adapt your calorie intake to accommodate these factors – without throwing in the towel every time you risk going over your daily quota. The scope to be able to make safe and sustainable food choices in a social setting should be a characteristic of any workable weight loss program. Once again, it’s all about being selective and making the best choices without limiting yourself entirely. A sensible approach that allows for some ‘give and take’ is what it’s all about. Employing mindfulness techniques (and always remembering to practice genuine self-love) will give you the resilience you need to reach the finish line with flying colours. Being wise about your waistline is crucial for both weight loss for aesthetic purposes, and for your overall health and wellbeing. With a focus on nutrition, variety and flexibility you will be on track to select the perfect weight loss plan to deliver results for your individual needs.